We do not claim to be the biggest, we just strive to be the best! 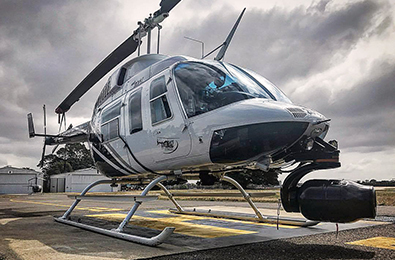 As Sydney Airport’s longest established locally owned helicopter company, our mission is to bring the beauty of Sydney and its magnificent surrounds to you in safety and comfort. 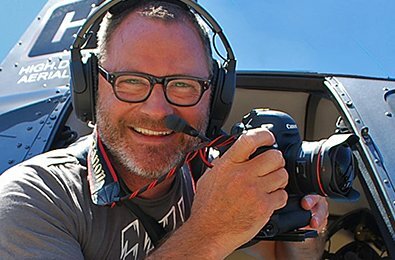 From your initial contact with BLUE SKY, our adrenaline based brand, BLACK OPS HELICOPTERS or AERIAL CLICK SYDNEY (our new aerial photography, Instagram and content capture brand), you will find an innovative and dynamic company with a friendly welcome and impeccable service extended to clients from Sydney and from around the World. With an unwavering, steadfast commitment to safety & outstanding customer service towards you, our passengers & clients, Blue Sky continues to break new ground with World first ideas & products that will provide you with an unparalleled experience. Guaranteed! Read more on the Company Profile page. 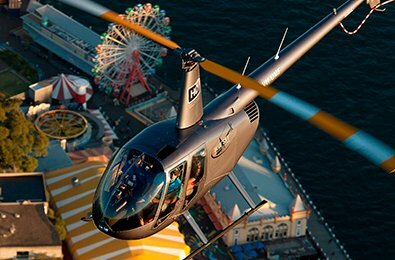 Experience the thrill and excitement of a helicopter flight over the world’s most beautiful harbour and beyond. Blue Sky Helicopters can either photograph the site for you, or if you are an aerial photographer we’ll fly you. We offer three turnkey HI-DEF filming options. Blue Sky Helicopters is your complete aerial filming solution. Make contact, advise us of passenger numbers, collection/destination points and we’ll do the rest. 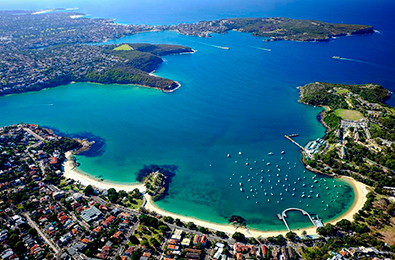 Showcase Sydney (& beyond) to your corporate guests, build your team & impress your clients. 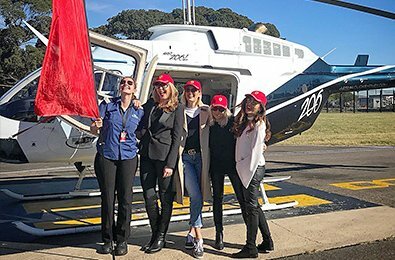 Find out about Sydney Airport’s longest established locally owned helicopter company.